Weddings In Woodinville was a giant success with over 600 attendees! Rare Form Limousine’s President, Eli Darland, sits on the board of directors of In Woodinville, the non-profit organization that puts on the annual show. Weddings in Woodinville from Bogle Productions on Vimeo. We want to take this opportunity to congratulate British Motor Coach on winning the Seattle Bride Magazine Best Wedding Transportation of 2010 award. We periodically are asked to provide a classic car as a wedding getaway vehicle for the bride and groom. When we do, we always point them to British Motor Coach. Many times we will provide the stretch limousine service for the wedding party and will see a classic Rolls Royce or Bentley as we pull up to the church. Perhaps in the future, Rare Form Limousine will enter the specialty vehicle market, but for now we are happy to direct our clients to British Motor Coach. Congratulations on your award! Weddings in Woodinville from Edit 1 Media on Vimeo. Dani Weiss Photography, winner of WeddingWire‘s 2010 Bride’s Choice Award for Photography, is a member of Wedding Network USA. We touched base at the last Seattle meeting, and Dani pointed me towards her blog. Check out her work with weddings, portraits, and events! Alternative Talk 1150AM KKNW features a new show called Nearlywed Radio, every Saturday morning at 11:00 AM. 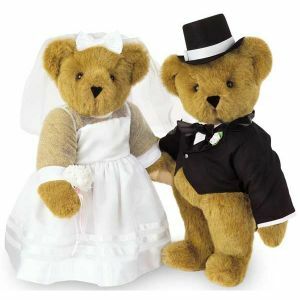 Nearlywed Radio is a gold mine of information for couples planning their perfect wedding. Rare Form Limousine was proud to be showcased on the February 20, 2010 show! Listen to the interview to find out why Rare Form Limousine should be your wedding limousine provider. The largest wedding show in Washington, Oregon, and Idaho is coming to the Washington State Convention Center January 16th–17th, 2010. Rare Form Limousine is excited to announce that we are showing our Super Stretch Excursion on the show floor for the first time. Visitors will be able to climb in and out of our flagship vehicle and experience it up close and personal. As usual, we will have our display vehicle’s electrical accessories running on a DC converter so showgoers can get the full limousine experience. Come see us right next to the wedding dresses! WordPress generated this page with 31 queries, in 0.538 seconds.